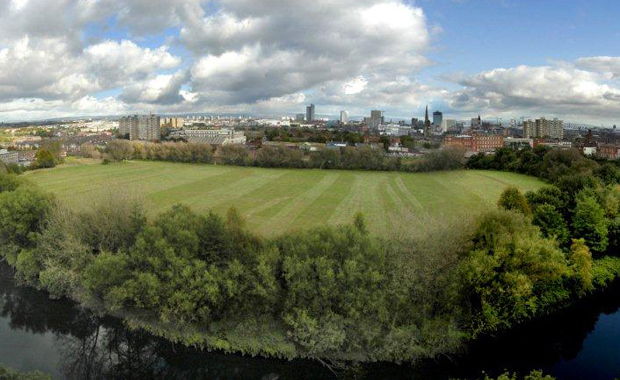 River Park Meadows provides the northern green anchor of Irwell River Park improving linkages between the core of the Regional Centre, the University of Salford, Chapel Street, Greengate and the communities along the Anaconda section of the river. The Royal Institute of British Architects (RIBA) is inviting ambitious architects to take part in a competition to design a new pedestrian bridge for Salford. RIBA Competitions has joined forces with Salford City Council in asking architects and engineers to put forward concepts for the new bridge, which would cross the River Irwell and join some of Salford’s untapped green spaces to residential areas. The new bridge will play a crucial role in connecting these areas of Salford to the £650 million redevelopment of Salford Central near to the University of Salford, including the £10 million transformation of Chapel Street, and some of the city’s beautiful green spaces. The competition consists of two stages and is open to registered architects and engineers worldwide. Team collaborations are encouraged and can either be architect or engineering led. Digital submissions only are required at stage one and it is the intention to shortlist three schemes for the second stage with each shortlisted entrant receiving honoraria of £4,000 + VAT. Please visit the official website for the brief, guidelines for entering and competition regulations. The competition is subject to a non-refundable registration and administration fee of £50+VAT.